On March 10 the House Agriculture & Rural Affairs Committee amended Senate Bill 1181 (Vogel-R-Beaver) to transfer $4.2 million from the Race Horse Development Fund to the State Racing Fund to provide resources to the PA Racing Commission to perform its regulatory responsibilities. A House Professional Licensure Committee hearing on licensing of professional soil scientists (House Bill 997 sponsored by Rep. Scott Petri-R-Bucks) has been set for May 7. On February 4, the Senate Agriculture & Rural Affairs Committee reported out Senate Bill 1149 (Brubaker-R-Lancaster) relating to the application of fertilizer on turf areas (lawns, athletic fields and golf courses). Two other bills reported out by the committee February 4 were: SB 1188 (Vogel-R-Beaver) amending the Race Horse Industry Reform Act and SB 1107 (Alloway-R-Franklin) stating that if a kennel license is revoked, no new kennel licenses will be issued to a person who is a member of the same family nor to any person residing at the address of the current (revoked) licensee. House Bill 1440 (Boback-R-Luzerne) is still on hold in the Senate. 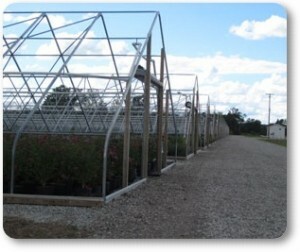 It would exempt high tunnel buildings from the Uniform Construction Code.